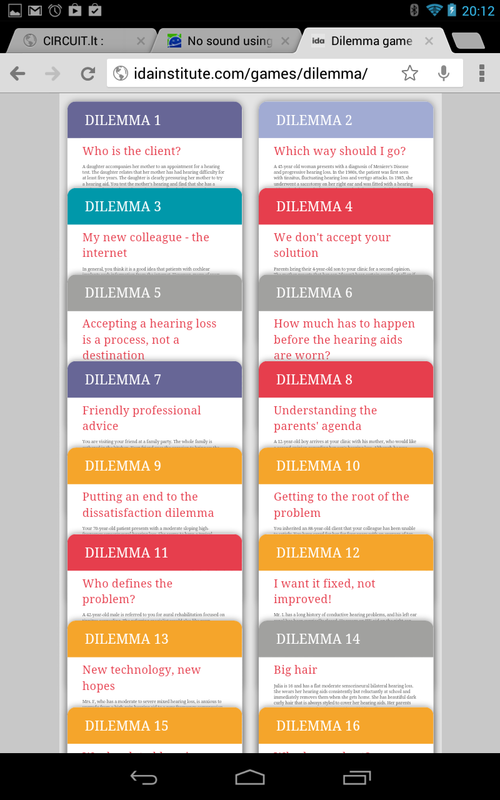 I have created an HTML version of the Dilemma game that was developed by the Ida Institute. 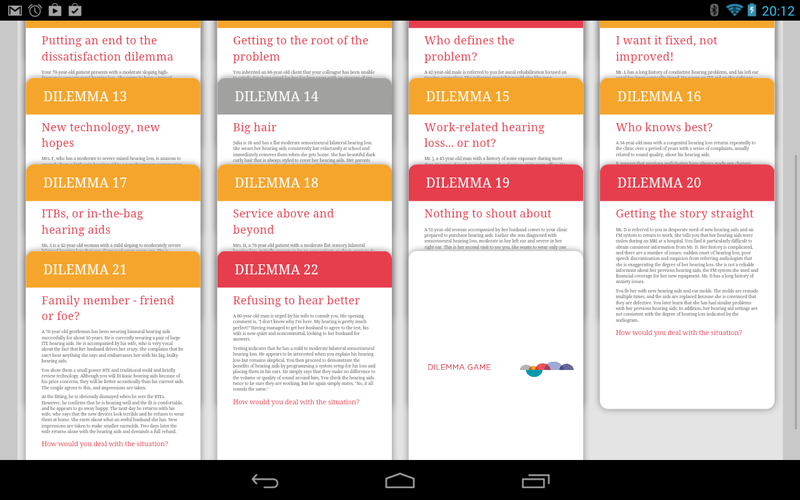 You can check it out at http://idainstitute.com/games/dilemma/. 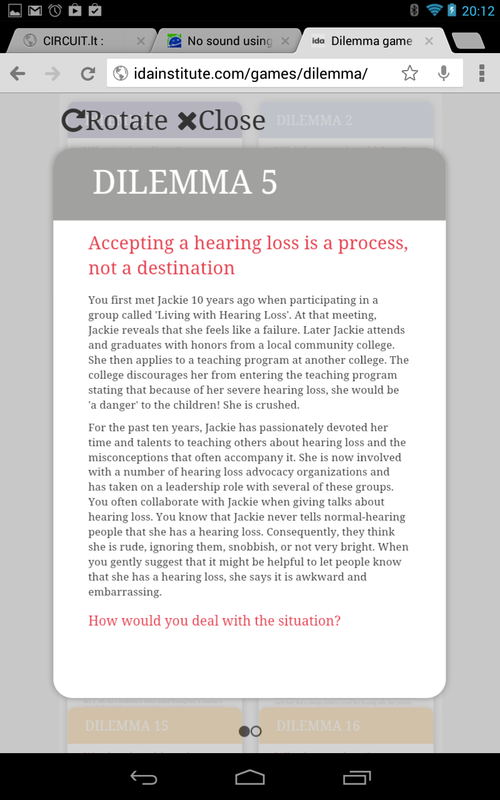 More info about the game here (requires registration). 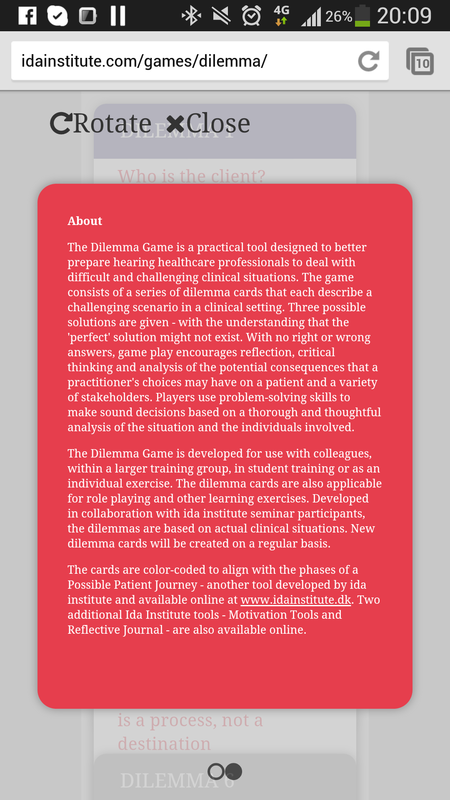 Posted on September 10, 2013, in My Applications, Projects and tagged Dilemma, Game, Ida Institute. Bookmark the permalink. Leave a comment.